WiKID Systems recently partnered with Atricore, the makers of JOSSO an enterprise-class SSO application. Both two-factor authentication and single sign-on have historically been expensive and complex affairs. Atricore and WiKID have both been addressing these issues by releasing easy-to-use, open-source software. These efforts merged when Atricore added native support for the WiKID Strong Authentication to their product JOSSO. In this tutorial you will see how easy it is to add two-factor authentication to JOSSO, creating a secure, easy-to-use solution for organizations needing SSO. JOSSO supports a wide variety of services including Tomcat, jBoss, Apache, IIS, Liferay, Weblogic, and Alfresco as well as cloud services such as Google Apps, Salesforce and SugarCRM. WiKID for its part supports Radius, LDAP and TACACS+ in addition to having an API. WiKID Software tokens run on Linux, Mac, Windows, iPhone, Android, J2ME and others. First, you need to download JOSSO, unzip it and then start the server (run #josso_home/bin/atricore). The rest is all done via the Atricore console. I highly recommend that you watch the Atricore Configuration video. Then, I recommend you come back here and use the steps I have here to create your 2-factor authentication SSO demo appliance. I also recommend that you start with a new empty appliance rather than using the wizard, you will learn more and it is cleaner, in my opinion. Note that I am using the routable IP address and the default JOSSO port of 8081. Again, note that I am again using port 8081. Next, we need to add a place to store the users. You might already have a database or LDAP store, but for this test, I just used a JOSSO Identity Store. On the palette, open the Identity Sources and select the Identity Vault. Now we need to connect these. 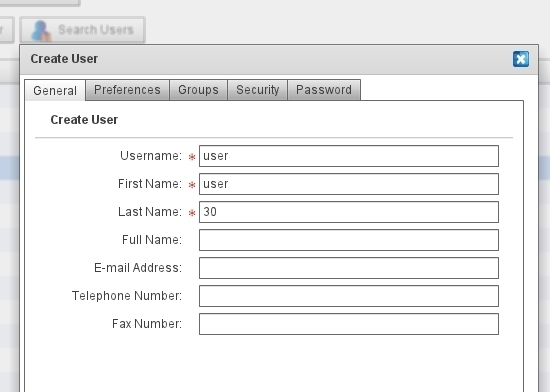 Under the Connections panel of the palette, select Identity Lookup. Then drag the mouse from your Identity Provider to the Identity Vault. Click on the Entities panel again and select Service Provider. Connect the Service Provider to the Identity Provider with a Federated Connection. Connect it with an Identity Lookup connection to the Service Provider. Atricore recommends using the Tomcat Execution Environment for simple proof-of-concepts like this. I downloaded tomcat and installed it /opt/tomcat on the JOSSO server. JOSSO is smart enough to install the sample app for you. Click the Tomcat option in the Execution Environments on the palette and position it below the Service Provider. You will also need to click on the Activation button on the Properties pane to install the Demo Application. Also, if you make changes you need to select Reactivate to push the changes. Then you need to restart Tomcat. Please note that the Connector is using port 8080! This is tomcat's default port. If you change the port here, you must also change it in tomcat. JOSSO will install the sample application in $TOMCAT_HOME/webapps/partnerapp and it will create the partnerapp directory.